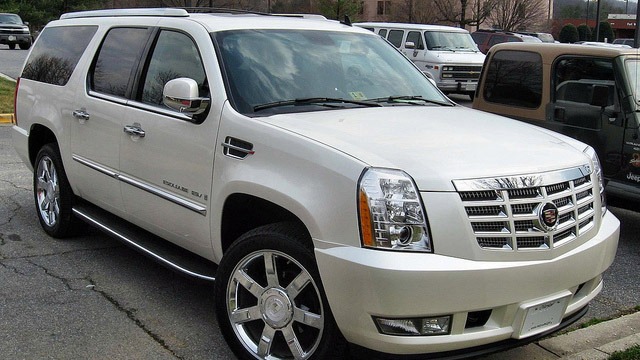 The auto mechanics at Mancinelli’s Auto Repair Center have earned a reputation for providing excellent Cadillac service and repair to drivers throughout Downtown Denver. Our auto repair shop is the trusted source in our region, and we keep maintaining our reputation very seriously; you can expect to receive top-notch, personable care for you, your family, and your Cadillac. Our technicians are ASE-Certified Masters, which means they are tested and trained in Cadillac service. Our team wields the latest and greatest in tools and technology for troubleshooting, maintenance, and auto repair. There can be a thousand different causes for just one problem in your vehicle, but our team has the equipment, education, and experience for an accurate diagnosis. To put it lightly, we enjoy serving our community of Downtown Denver. Along with offering excellent service for your Cadillac, we will aim to show our appreciation and gratitude for our clients from the communities surrounding our shop. We occasionally offer a customer appreciation BBQ, complete with an adoption center for dogs and activities for the little ones. So, hop in your Cadillac and drive over to Mancinelli’s Auto Repair Center for some fun and festivities when the next BBQ comes around. When you arrive at our auto repair shop in Downtown Denver for Cadillac service, our auto mechanics will perform a digital inspection, searching for any sign, big or small, of trouble. And when you leave, we will send you off with a safe and reliable vehicle, popcorn, emery boards, post-it notes, and chapstick. With Mancinelli’s Auto Repair Center, it is all about the little things. Please call us, schedule an appointment, or visit us. We’re located at 375 Logan Street, Denver, CO 80203, and are open Monday through Friday, from 7:00 a.m. - 5:00 p.m.